On June 12, The Philippines will celebrate its Independence Day. And because it is a Special Day, Galileo Enoteca Deli makes it more special for us- diners, by offering The Freedom Project from June 1- 12. And why is it special? 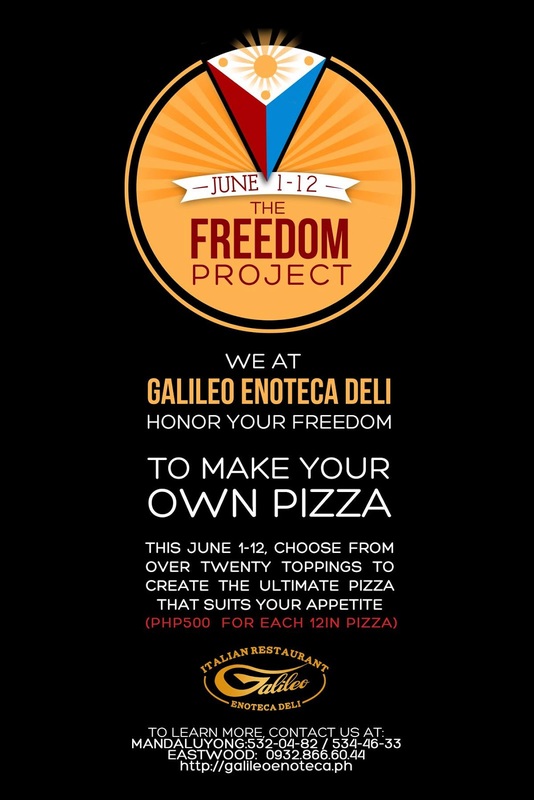 Galileo Enoteca Deli will give the diners 12 days "to make your own pizza" by choosing from more than twenty toppings. Wow !! !